Once you’ve booked your accommodation, these extras packages will help you make the highlight of your stay – the marriage proposal, the anniversary or birthday dinner – absolutely unforgettable. 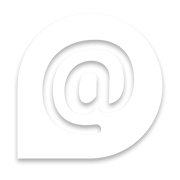 We’re experts in the perfect setting for the expression of true love, whatever form it may take for you. Create a wonderful place for a wonderful moment. 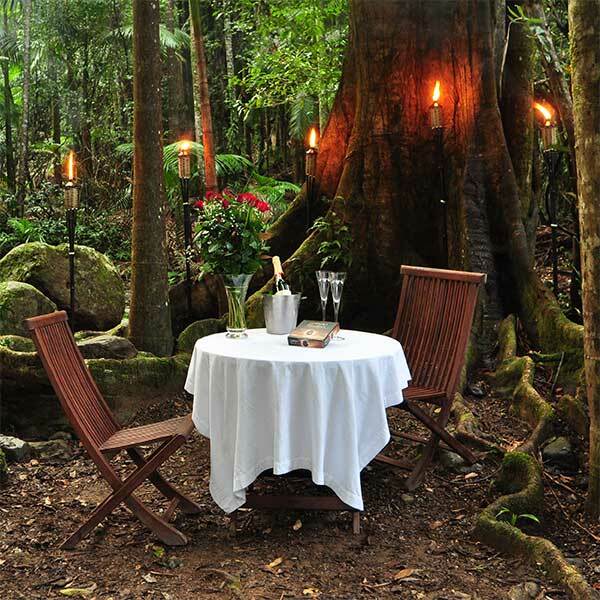 Take your partner for a walk in the rainforest and return to a table set for dinner with roses, champagne on ice and one hundred lit candles creating the ultimate romantic setting. 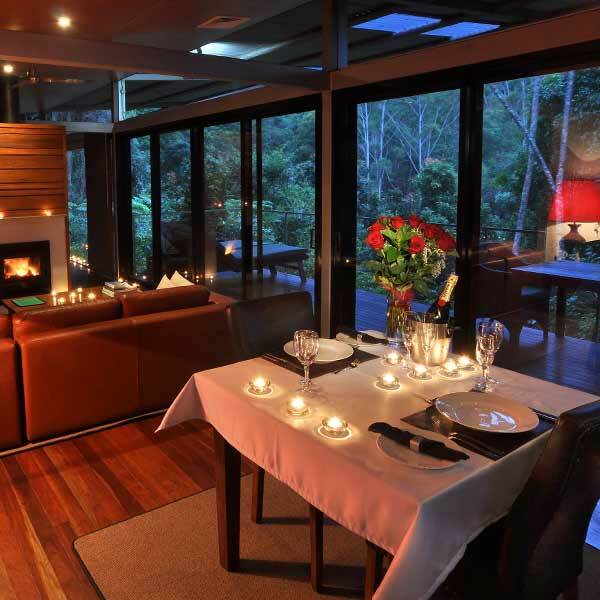 The ultimate setting for a surprise romantic rainforest proposal. During the summer months we can set up a special romantic place under our 400-year-old fig tree on the edge of the creek – pole candles, table, chairs, roses, champagne and chocolates. Just ‘stumble across it’ and pop the question! 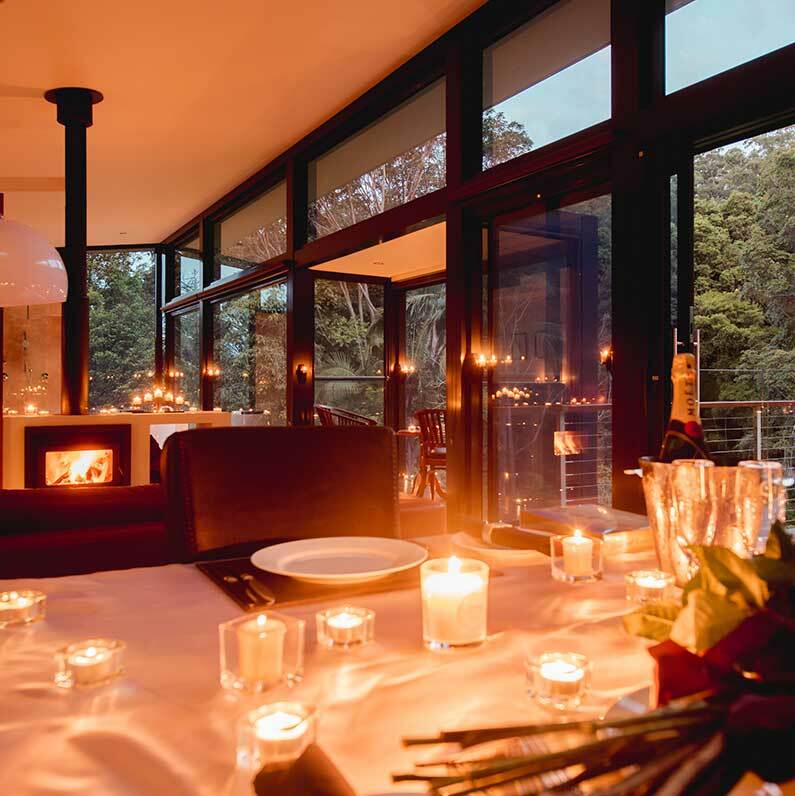 The ultimate in surprise settings for a proposal or romantic moment, especially tailored to our Luxury Lodges. The table is set ready for dinner with roses and champagne … dozens and dozens of lit candles create a breathtakingly romantic mood … and more. Surround yourself with spectacular rainforest for your intimate wedding or commitment ceremony. Weddings with up to a dozen guests can be held on our expansive lawns with a view of Mount Springbrook – or in this package, on the banks of our creek under a 400-year-old fig tree.